Wondering what to do with all the leaves on the ground these days? We have many super simple solutions for you. 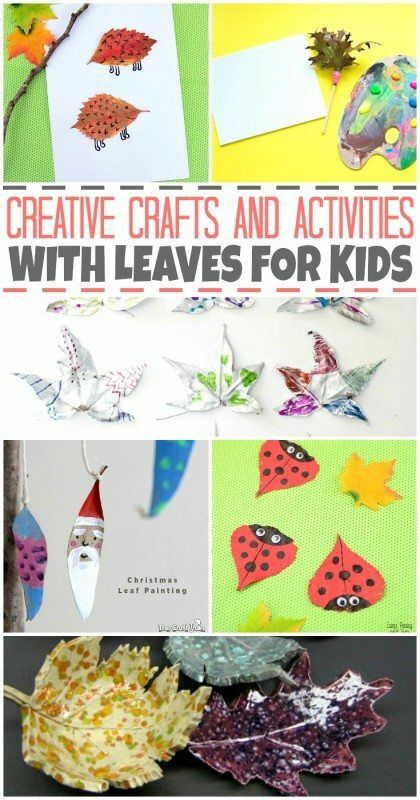 Let’s turn those fun shaped leaves into creative crafts and activities for your kids to enjoy. Fall is the perfect time of the year to craft and learn with materials from nature. 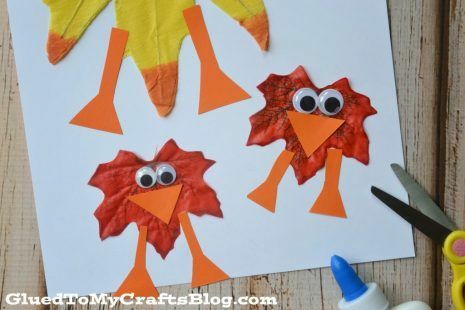 To get you started we are sharing a whole bunch of Creative Crafts With Fall Leaves For Kids. Autumn is a season filled with beautiful colors, cooler weather, apple picking, and for some of our football. Many of those brightly colored signs will be showing up as large blankets of leaves covering our yards. I love crisp mornings and afternoons that are filled will fall activities that I can do with my kids. That is what memories are made from and how new traditions begin. Your kids will take pride in their work and you will be glad you kept them busy. In this hefty list, you’ll find it all, from the always fun leaf painting activities to wonderful leaf trinket dishes to showcase in your home. 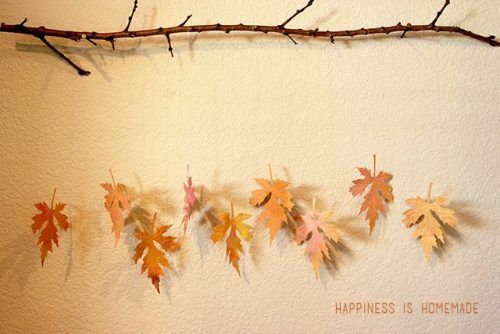 These crafts are easy to make and incorporate everything great about fall. Which one will you be making first? 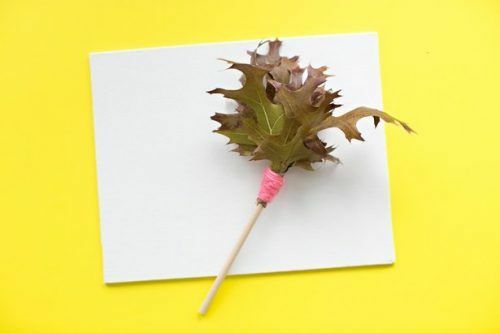 This Leaf Hedgehog craft is simple enough for toddlers to make and enjoyable for school-age kids as well. 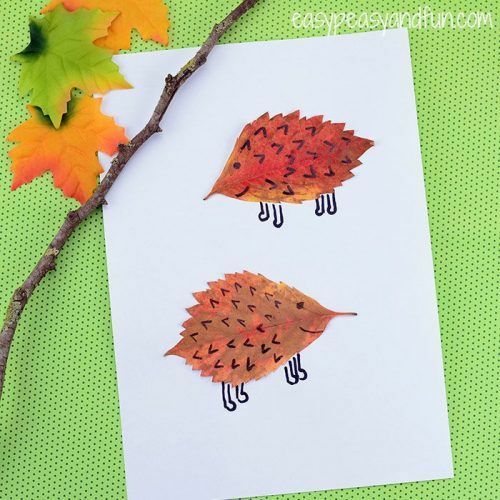 Let their imagination run wild as they create pages and pages of creative little Leaf Hedgehogs. These adorable Silver Leaves will brighten up your home as garland or placed gently in a bowl on display. 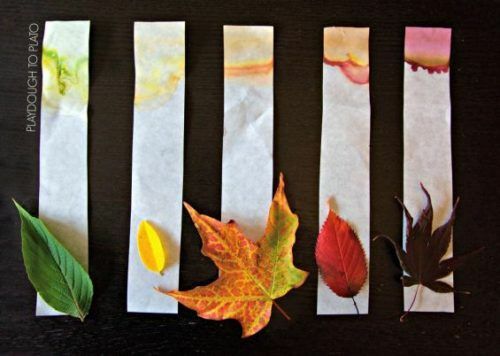 Your kids will enjoy using colored sharpies to redesign leaves into beautiful pieces of artwork. 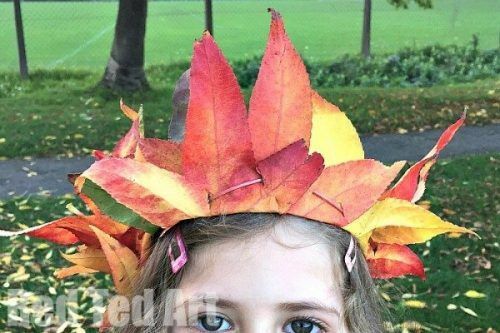 Turn your kids into kings and queens of the forest for the day with these crafty Leaf Crowns. It will take some adult hands to help with the construction. But guaranteed this project will give them a day full of imaginative play. Often times in the midst of falling autumn leaves we will come across those that are still alive from summer. You can take those leaves and turn them into some beautiful butterflies. Throw some fairy dust around in your next autumn leaf peeping adventure with your kids. 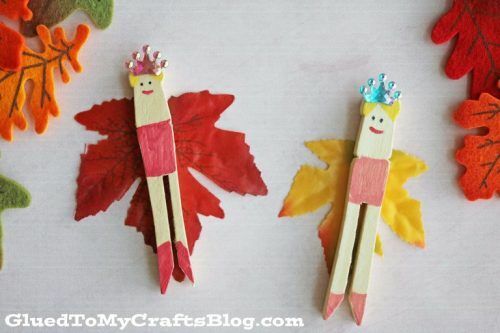 With inexpensive craft items, you can turn leaves into fairies. Science is all around us. 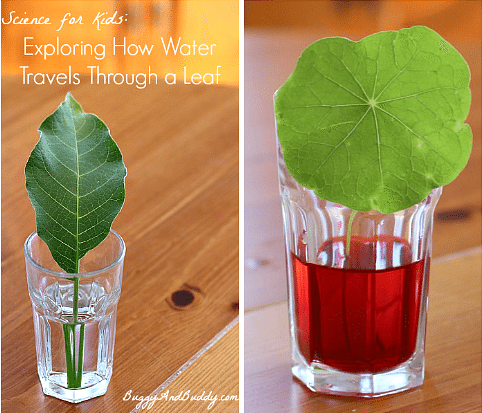 Let your kids get a hands-on experience picking fresh leaves from the ground and using them to explore how water travels through a leaf. It will be a fun learning experience. 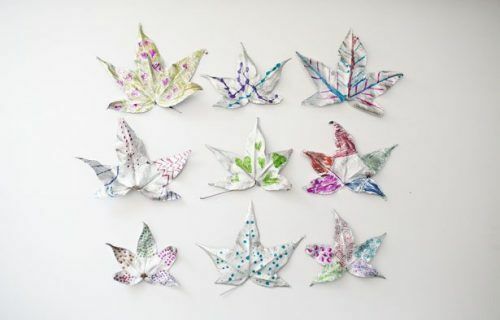 Make your own Paper Leaf & Branch Mobile. Some of us are not blessed to live in an area that has many trees (or I say they are blessed when I am raking up piles of leaves). You can make your own leaves and prep for fall in your home. For this craft, you will need a Cricut Cutting Machine. 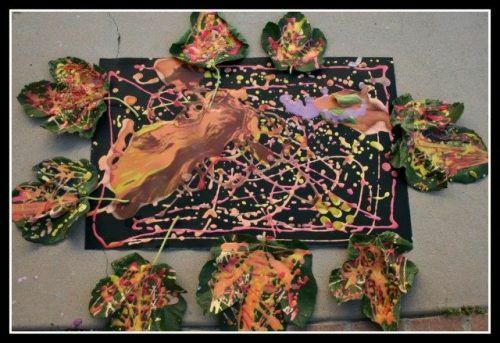 How amazing that your kids can make their very own leaves paintbrushes? After they construct their paintbrushes they can be busy make you beautiful pieces of artwork. 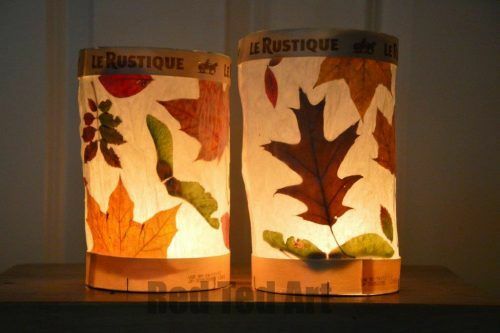 Illuminate your home with these Leaf Lanterns. Turn your nature finds into pieces that can be talked about when you have company over. Such a creative idea. Find those larger than life leaves and allow your kids to use them to make their very own leaf prints. 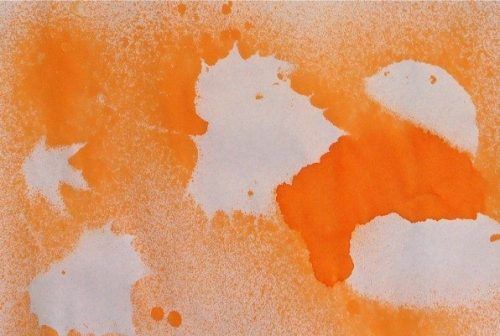 Using different color paints you can make beautifully colored leaf prints. Who doesn’t love Christmas time? 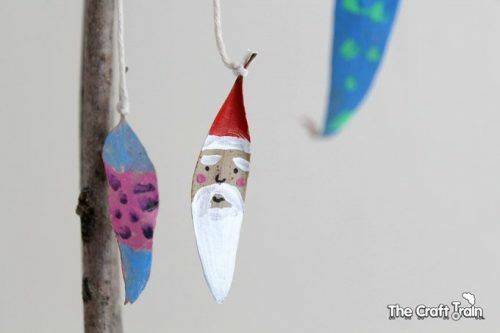 Get an early jump on making those Christmas decorations with this great leaf craft. Your kids will have a ball painting Santa faces or festive artwork on their nature finds. Have fun exploring the outdoors while picking up some of your favorite colored leaves. Once home you are ready to learn all about Colors and Chlorophyll. This is a simple science experiment, but will still need adult supervision. Time to make some silly faces and give them some wacky and fun hair. Choose your favorite outdoor leaves or craft leaves. Go wild and crazy this fall. 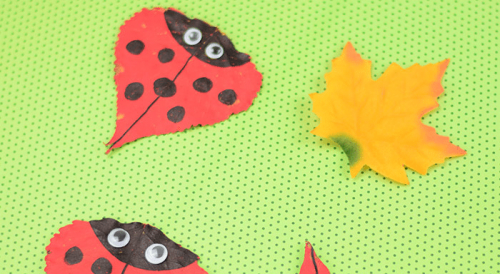 This Leaf Ladybug craft is simple enough for toddlers to make (with adult help) and enjoyable for school-age kids as well. 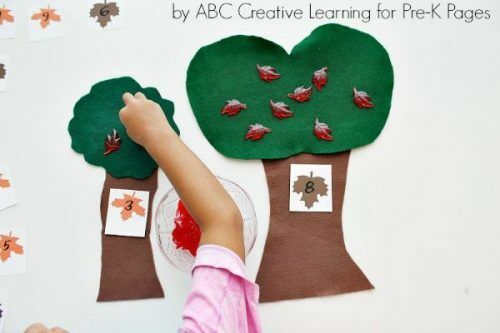 Let their imagination run wild as they create pages and pages of little Leaf ladybugs. Have you ever wondered how green leaves can turn brilliant orange, yellow and red? 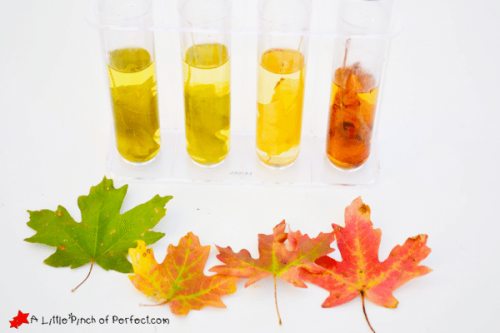 With this simple chromatography activity, you can see just what gives leaves their amazing fall colors. 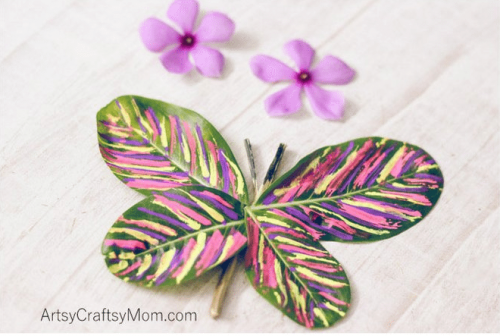 While you’re out leaf peeping with your kiddos make sure to find the best shape leaves and save them for this next craft project. Your kids will enjoy making these Negative Leaf Impressions. Do you love having display pieces around your home? 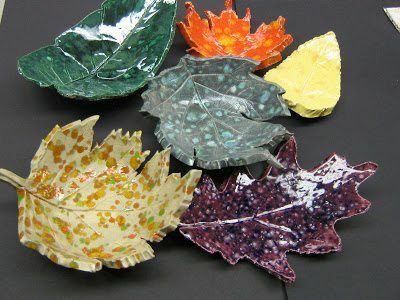 Put your kids to work making these gorgeous leaf bowls. While they are at it, have them make a few extras for Christmas gifts. 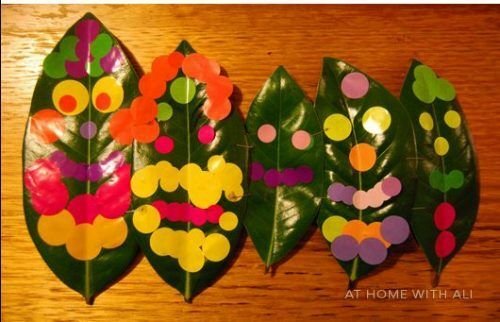 Pull out those sticker dots and let the kids go to town making their own leaf people. This project is absolutely perfect for toddlers and pre-schoolers. Who doesn’t love a great matching game? Next time you are out, make sure to have your kids pick up many pairs. Then get ready for an after-dinner showdown on Leaf Matching. 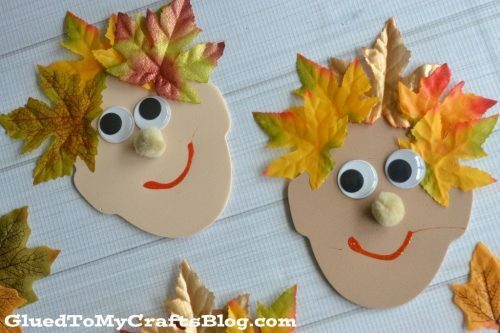 This DIY Felt Leaf Counting Activity will help your little ones enjoy fall will helping them with their math skills. Your kids will be using leaf counters. These counters will need to be purchased from your local craft store or dollar store. 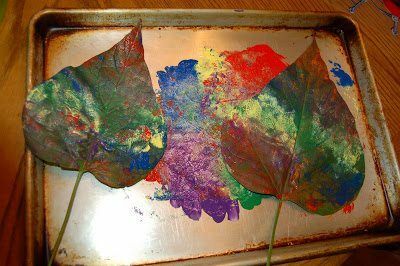 Using homemade puffy paint (recipe included) you little ones will enjoy getting creative making all sorts of designs on leaves found from outside. This project is perfect for toddlers. With this next craft, you will need to be on the hunt for the “best” looking leaves that have fallen in your yard. Trying to find different shapes, colors, and sizes. Then get ready to turn them into adorably printed flags for your home. While you are out and about picking up leaves this Autumn, make sure you pick up other fun finds in nature. Turn your finds into many different types of insects. Get out there and enjoy this weather with your kids. Who knew you could take some basic leaf shapes and make some adorable and completely customizable owls? Your kids will enjoy getting creative with this next craft. 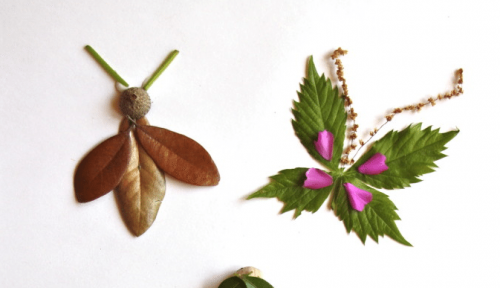 Leaf rubbing or drawing is an excellent and kid-friendly nature craft. 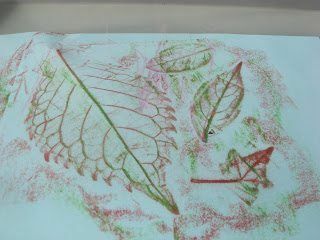 Make colorful crayon rubbings from different kinds of leaves. Your kids works of art will be pretty just by themselves. Need Some Great Autumn Recipes? this is fantastic thank you jen! You’re Welcome Joanna!! Have fun this Autumn!